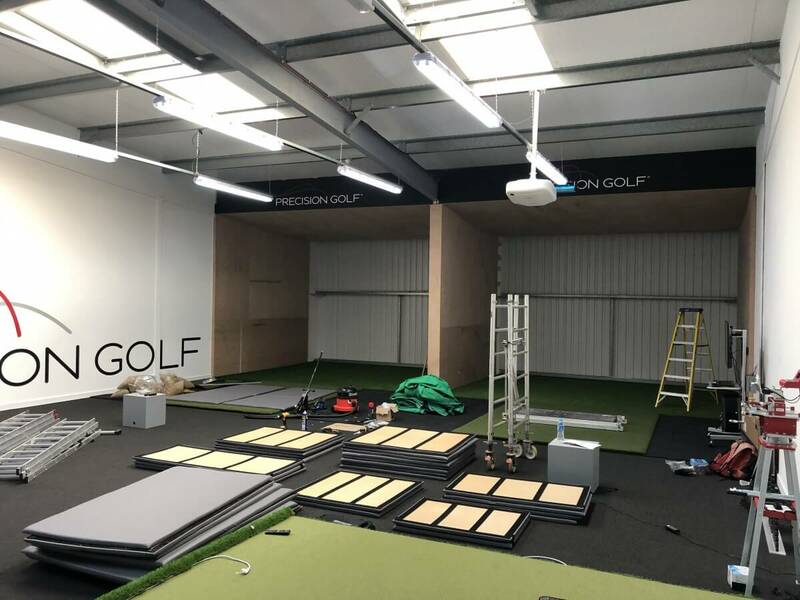 There is plenty of height, width and depth in the room and 1 bay will be for fitting and another for playing the Trackmans incredible Golf Simulator software. 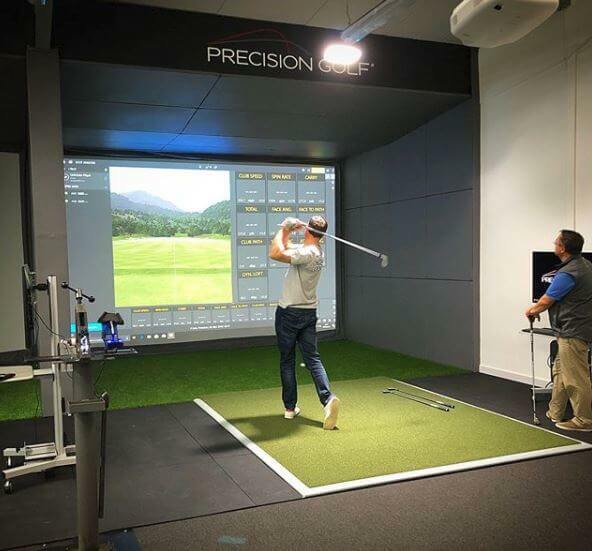 The simulator bay will be open to the general golfing public also allowing them to see Precision Golf’s fantastic club fitting operation. 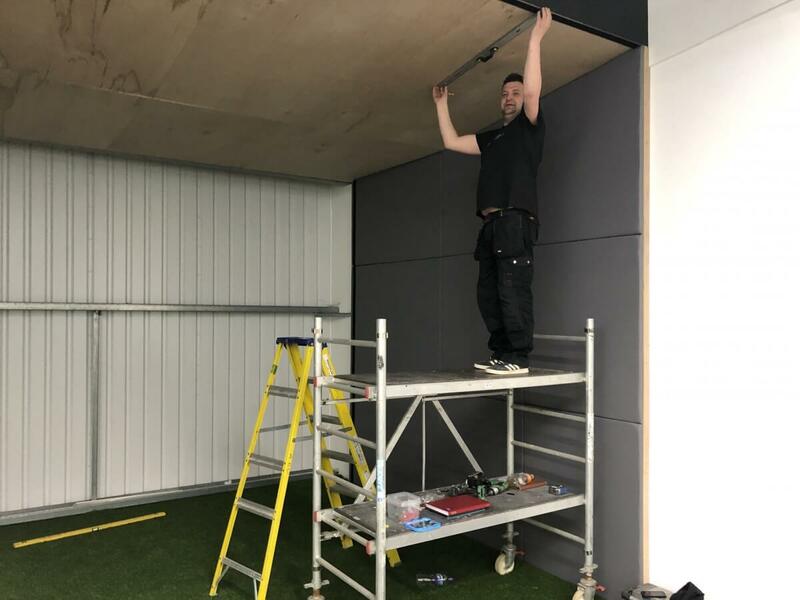 Using our tried and tested cushion padding and screen installation, we create a safe environment for all levels of golfer. 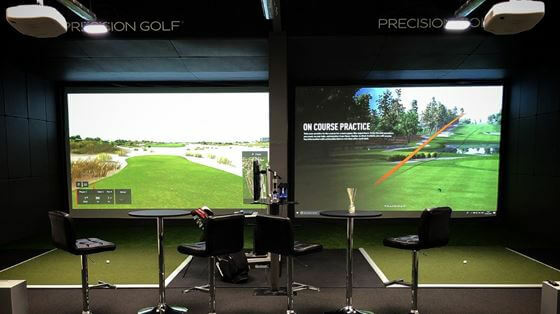 The Projectors were an amazing 7000 lumins with a custom made lens to suit the size of screen and throw ratio. 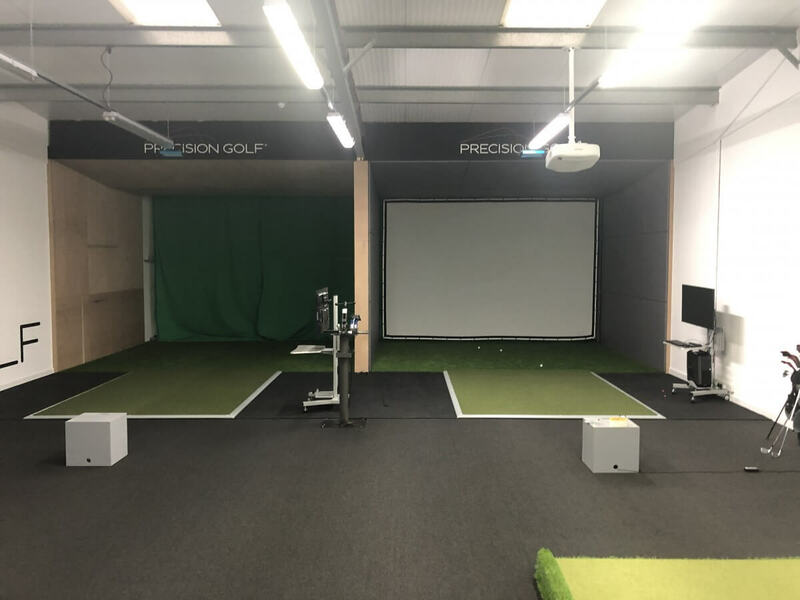 Precision Golf really went for the highest quality of build with these Trackman simulators and the end result is stunning. 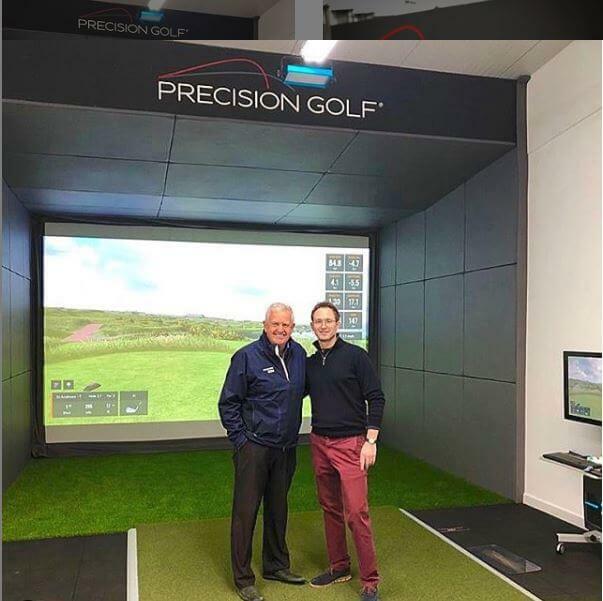 Even had Colin Montgomerie in to open up.